This project includes a range of spaces and facilities including back-of-house administrative spaces, lecture and meeting rooms, exhibition spaces, archive and storage zones. The proposal has been developed for one of Western Australia’s oldest community organisations. 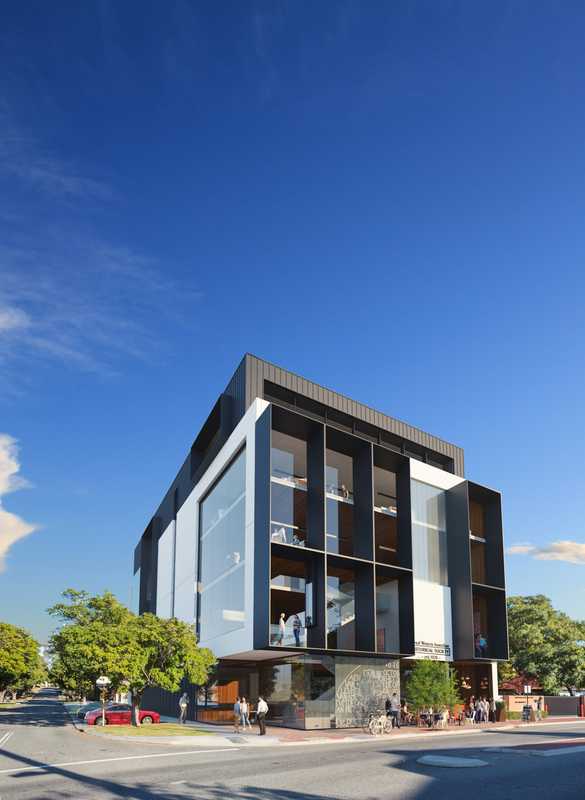 It includes the wholesale redevelopment of the organisation’s existing headquarters building and site, located in an established mixed use precinct in Perth. Chaney Architecture has worked closely with the local council to test different development and built form outcomes as part of a highly collaborative planning exercise that has helped to inform a new planning scheme for the city and the precinct in which the site is located. The new building will deliver a long-term headquarters building for our client together with income stream from proposed surplus office space on the upper levels of the new structure. It is also located within a precinct that includes one of Western Australia’s most celebrated modernist buildings. The architecture of the new building is self-consciously compatible with this and other buildings of note. Together they will form part of a distinctive and memorable urban village.